The Importance of Flashing to Your Home - JA Edwards of America, Inc. Properly installed flashing is crucial to your home’s long life. It’s a component that is hardly noticeable, but plays a vital role in keeping damaging water out of your house. Flashing is a thin strip of waterproof material. This material is placed at parts of a construction that offer a possible entry point for water. These areas include doors and windows and the tops of foundation walls. Most commonly, spots that stick out from a roof (projections) and spots where two surfaces meet (intersections) are critical points for roof flashing. 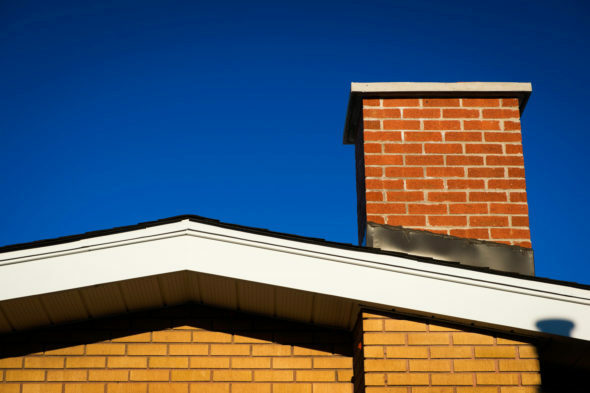 Think about chimneys, gables, and inside roof corners. Basically, flashing covers a gap. Because it is waterproof (or water resistant), it prevents water from penetrating that seam. Water will flow as water will flow. Properly installed flashing accounts for the predictable behavior of water. What Happens When It Is Improperly Installed or Is Damaged? Improperly installed flashing cannot effectively do its job. It will allow water to enter the interior of a structure. Damaged flashing, whether by wind or debris, will do the same. Rather than sealing a potential point of entry for water, poor flashing leaves the flood gates open, you might say. Even small holes or cracks can allow a lot of water to seep in, especially over time. Then the flashing does the opposite of its job. It will allow the moisture in and can act like a barrier to prevent the area from drying out. Eventually, bad flashing can be the source of a whole host of problems. Chimneys can crack, allowing for even more water intrusion. Shingles can become further damaged, again allowing for more intrusion. Wood near the fault can rot. Water can creep further into the interior of your home, causing damage to ceilings and walls. At the very least, you will see staining. Regular roof inspections are the best way to insure that your home’s flashing it intact and is functioning properly. Remember that damage can occur simply as the result of time, and not just because of heavy weather. If you think your roof’s components need some attention, contact us at J. A. Edwards America.